London Festival of Architecture is well underway and on Saturday 9th June 2018 there are a number of free events for children at the National Gallery from 11 – 4pm. Events include: ‘Performing Spaces’, ‘Build like Bellotto’, ‘Magic Carpet Storytelling’, ‘Moving Monuments’ and ‘Deconstruct, Reconstruct’; most are free and drop-in. Full details are here. 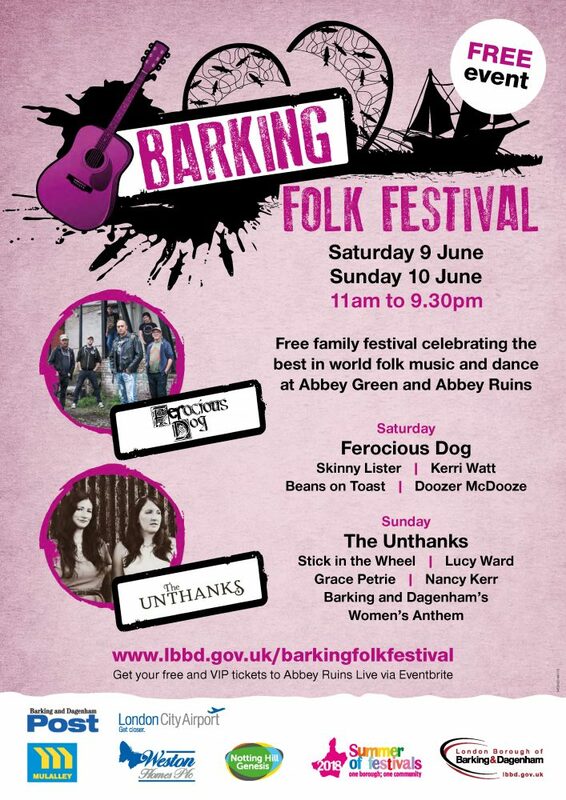 The full details are on the Barking & Dagenham Council’s website here. Tickets are free, but you will need to book as places are limited. Everyone is welcome to go along and learn how to grow fruit and veg at home, how to care for indoor plants, and how to grow plants on your balcony. The next workshop is on Sat 16th June 10.30am – 12.30pm starting at the Barkantine Hall, 3 Cheval Street, E14 8QE. The nearest DLR is Crossharbour – head west over the Glengall Bridge. The organisers say they’d love to see you there, it’s completely free, but please confirm here. On Friday 22nd June the Institution of Civil Engineers (Westminster tube) will put on a great free evening to show members of the public the secrets of our city. This is going to very popular – so book now if you want to go! Our local neighbourhood watch say: “Police in Tower Hamlets on Wednesday 6 June carried out a series of dawn raids as part of an intelligence-led operation to crackdown on the supply of drugs, violence and associated criminal and anti-social behaviour (ASB). “The operation saw 30 search warrants executed simultaneously at addresses across the borough and in east London. A quantity of drugs, around £20,000 in cash, two tasers, weapons and a car was seized. “26 men and one woman were arrested on suspicion of a variety of offences relating to drug supply within Tower Hamlets. Previous Post:Rebel World Cup, New Writing, Bubble Rush Runners, Music Festival and ABBA.